This unconventionally sized spinnerbait has got “XXL” written all over it. 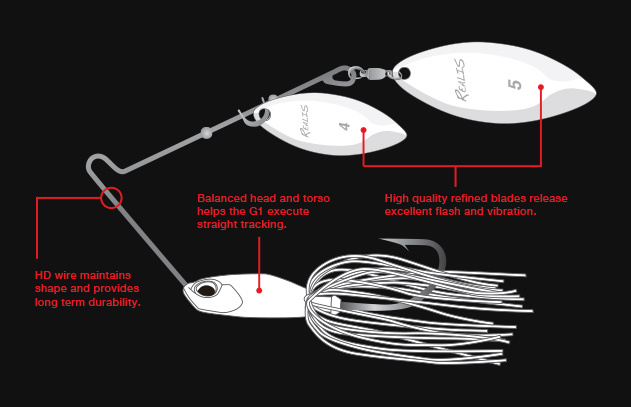 Blade size, wire diameter, head weight, hook size; everything about the new Realis Spinnerbait G1 was custom built to tackle even the largest of the fish. With a total weight of over 40 grams to reduce the floating of the lure, you will be able to trace depth previously unattainable with existing products. Specific priority was put on lure action and the G1 can be slow rolled across the bottom, even with the heavy weight setting. 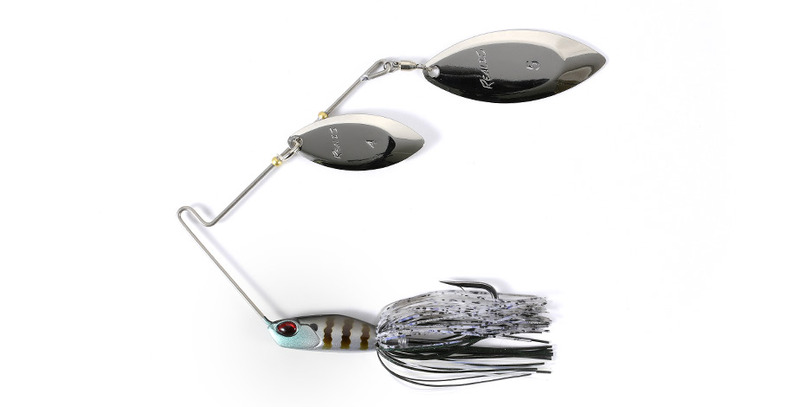 The outsized blades add additional appeal to the Spinnerbait, and offers a total package to target the big fish abyss.